Follow the Pepsi Pitch Hit & Run link at the bottom of this article and download PHR 2006 Registration Form to your computer. The form is in pdf format so you will need Adobe Acrobat or Adobe Reader installed on your computer. If you do not have either of these applications you may download and use Adobe Reader for free at www.adobe.com. Once you complete the form you may print it out or submit the information electronically to our server simply by selecting the appropriate button at the bottom of the form. If you submit the information electronically you will need to sign the paper form when you sign in at the competition. 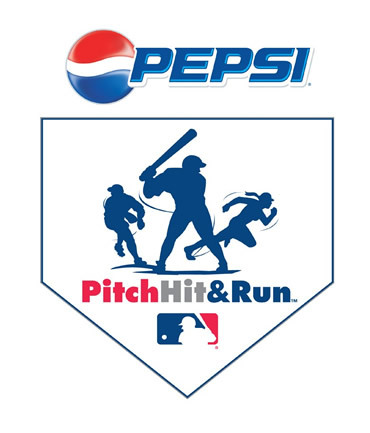 The Demopolis Dixie Youth Baseball Association will host the 2nd Annual Pepsi Pitch, Hit and Run Competition at the Sportsplex on May 13 at 10:00 AM. The competition is free and open to boys and girls, ages 7-14. Registration forms are available at Omni Sports, the Athlete's Foot and online at www.eteamz.com/ddy. Pepsi Major League Baseball PITCH, HIT & RUN provides youngsters across the country the opportunity to participate in an exciting baseball skills competition. PITCH, HIT & RUN is a free national program that gives boys and girls ages 7 to 14 the chance to showcase their baseball abilities. PITCH, HIT & RUN is intended to encourage youth participation and emphasize the fun element of baseball. This program gives all youngsters the opportunity to pick up a bat and ball and try our national pastime because there is no cost for competing. The cost for a volunteer or organization to host a Local Competition in your community is the same as it is for each youngster to participate – FREE! Boys and girls compete together in four different age groups: 7-8, 9-10, 11-12 and 13-14. PITCH, HIT & RUN is designed to test three of the most fundamental aspects of baseball: pitching, hitting & running. The participant is tested throwing strikes to a designated "Strike Zone" target. Allows the youngster to hit a ball off a stationary tee for distance and accuracy. The youngster is timed, starting from second base, touching third and then home. Skill events are individually scored and converted to a total point score through the use of conversion tables. Each participant will compete in each of the three components of PITCH, HIT & RUN and accumulate a total score based on his or her performance. There are four levels of competition that exist for PITCH, HIT & RUN: Locals, Sectionals, Team Championships and the National Finals. All participants must first compete at this level of competition. Over 3,000 competitions will be held nationwide with the pitching, hitting & running and all-around champions in each age group advancing to the Sectional Competitions. Local Competitions are offered from March to early May. Approximately 250 Sectional Competitions will be conducted with the youngsters competing in the same individual skill events. Only the Sectional all-around champions in each age group will have the opportunity to advance to the PITCH, HIT & RUN Team Championships. Each Major League Baseball team hosts a Team Championship for the top scorers within their geographic market. The all-around champions in each age group will have their scores nationally ranked to determine the top performers advancing to the National Finals. Hosted during the All-Star Week, these 16 youngsters (four in each age group) participate in the All-Star festivities and are exclusive guests of Major League Baseball. A National Champion is declared after the National Finals Competition on Workout Day.